If you have a pool then you need pool chemicals to disinfect and sanitize your water and control the growth of harmful algae and bacteria. 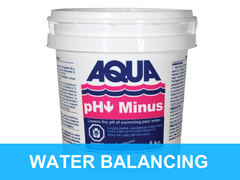 For many pool owners the chemicals can be a steep learning curve. 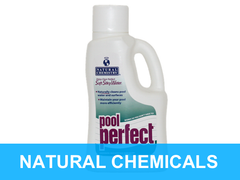 Pool Store Canada is here to guide you to find the right pool chemicals that will keep your pool water clean and safe plus remaining soft and gentle with your skin, eyes and hair. Has the water in your pool gone green? then you may not be using enough chemicals to control the growth of algae. 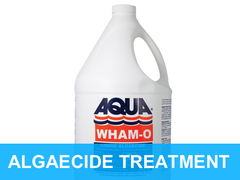 If you notice a green or brown algae around your pool liner or floor then you should consider an algaecide combat this problem. 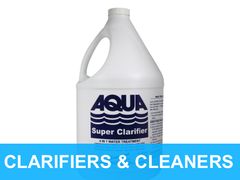 Stains can sometimes occur on your pool liner, floor or other areas of your pool. These stains could be caused by algae and bacteria, but also from the overuse of pool chemicals or from a misused pool ionizer which may be releasing an incorrect or inconsistent amount of copper and silver ions. 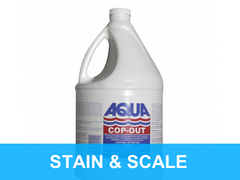 Using a stain and scale control chemical easily helps you prevent and treat scale and stains on your pool liner and surface. If you've just had a pool party and you invited the whole neighbourhood then your pool water probably needs some extra TLC. 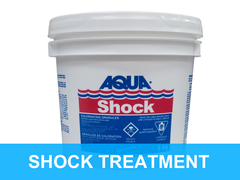 Chemical shock is a way to quickly treat your pool after heavy use. Also known as super chlorinating, when you add shock to your pool you're adding three to five times the regular amount of chemicals to your pool water. Not only will shocking your pool water keep your water clean and safe, it will raise the chlorine levels which will kill bacteria or other organic materials in your pool. 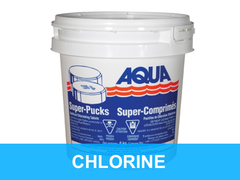 Shocking your pool water also boosts the effectiveness of the chlorine in the pool water. You should add shock to your pool regularly. How often you add it varies from pool owner to pool owner and depends on the size of your pool, how frequently you use it, how many people use it and the weather, specifically how hot the temperature outside is.